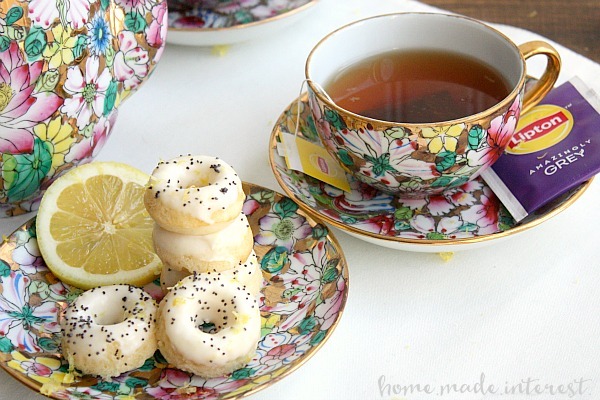 Mini Lemon Poppy Seed Donuts - Home. Made. Interest. Mini Lemon Poppy Seed Donuts are a simple recipe with a light lemon flavor. 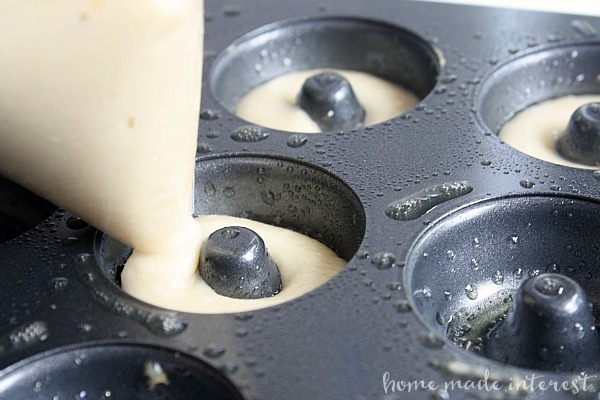 They would make a great Easter brunch or Mother’s Day breakfast recipe! We got a huge amount of snow recently and school were closed for the whole week…no that wasn’t a typo. One. Whole. Week. That was a lot of time mommy hadn’t planned on entertaining two small children who couldn’t do much playing outside because the snow was almost as tall as they are. This week everyone is back in school and I’ve been enjoying my 30 minutes of quiet time in the mornings even more. You don’t realize how much you need something until it is gone! In the mornings, I run around getting the kids dressed, and making lunches, then I pack my daughter off to school with her dad, and I take my son down to the bus stop. Once he is on his way I have a little window of time that is just for me. It’s that stolen time I get between packing the kids off and starting my errands for the day. A cup of hot tea, a few pages of whatever book I’m reading, and, if I’m lucky, some yummy little treat. 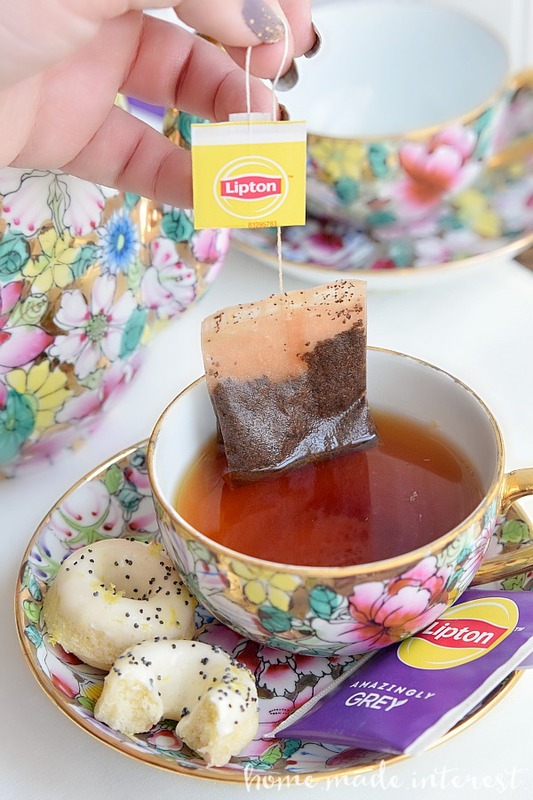 Lipton is my tea of choice and I’ve been trying out some of Lipton’s new black and herbal varieties and improved green teas. I’m working my way through bold flavors like Enticing Chai, Pure Green, Orange Passionfruit Jasmine and Peach Mango. Sounds tasty right? 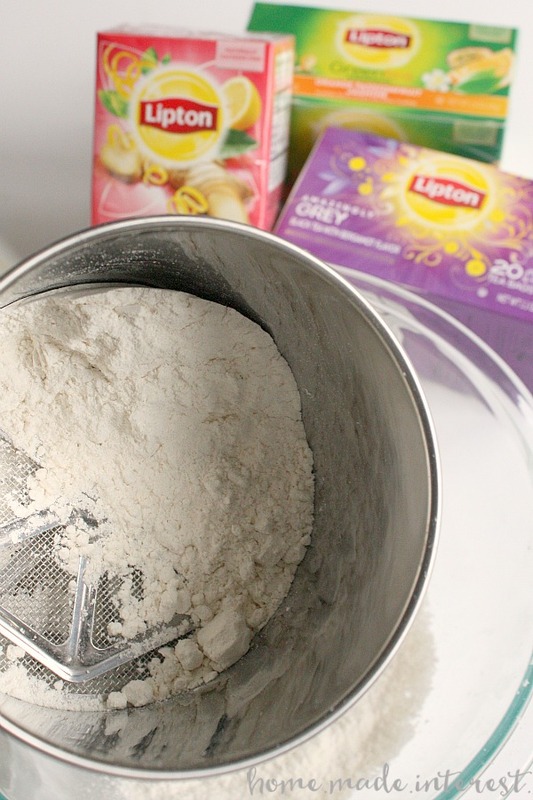 Lipton’s updated green teas have a light, fresh taste, bright clearer color and a heavenly aroma, and their herbal teas use real ingredients to awaken the senses. You can check out the full line-up of Lipton Green, Black and Herbal tea flavors here. 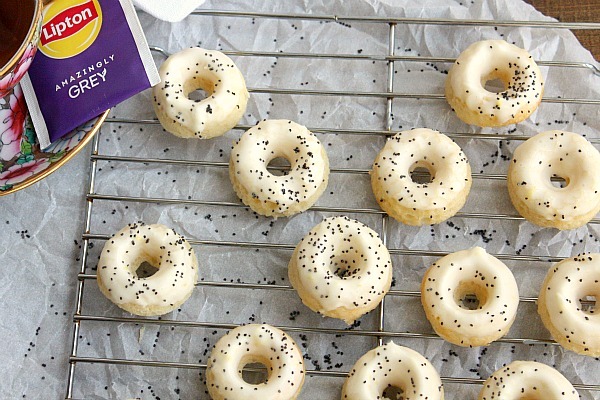 This week I made these adorable, and delicious, Mini Lemon Poppy Seed Donuts. I’ve been kind of obsessed with donuts since I got a cool mini donut pan for Christmas, and these are one of my favorites so far. The batter is simple to make but it took me a few tries to figure out just how much of it to pipe into the donut pan. Once I got it right there was no stopping me! I added lemon zest to the batter because nothing goes better with tea than a subtle lemon flavor. The great thing about these donuts are that they’re baked not fried. I’m not gonna pretend they are healthy but every little bit helps! As they bake they puff up and they come out looking like perfect little donuts. 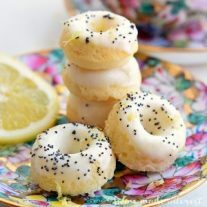 Once they had cooled I dipped them in a lemon glaze and sprinkled them with poppy seeds. Not only were they pretty they are absolutely delicious. I may or may not have hidden them in the back of the pantry so I could have them with my morning tea. I know, I’m such a mean mom :). My husband’s favorite flavor combo. I’m going to have to break out the donut pans this weekend! These look yummy! Thanks for linking up at Sundays at Home! These look so yummy! I like the added lemon and poppy seeds. Pinned and adding to my must make list. These doughnuts are about the cutest little things I have seen. I love your photos too. Beautiful tea cup set. Gotta love lemon poppy anything! ???? I love these! I tried to make mini donuts recently, and they just weren’t very good. But I am re-inspired to give it another go. Thanks! Why did mine come out half brown – half the right color? Did I bake them for too long? Brown as if they are burnt or golden? Try less time since every oven is a bit different.